With enriched industrial experience and knowledge, we are providing an excellent range of Wooden Grain PVC Edge Band. 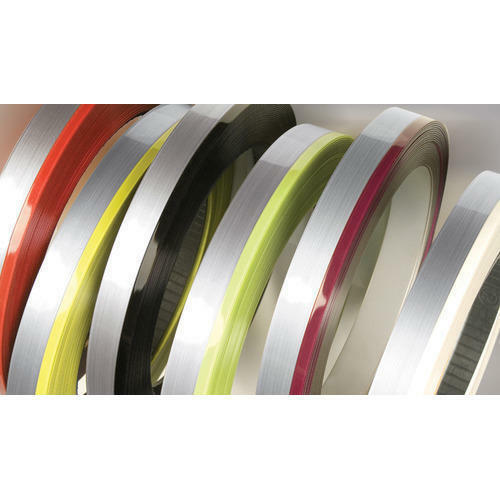 We “Jalaram Industries” are a renowned manufacturer and exporter of premium quality range of Acrylic Edge Band, Wood Edge Band and PVC Edge Band Glue. Established as Partnership firm in the year 2015 at Ahmedabad (Gujarat, India), We “Jalaram Industries” are a renowned manufacturer and exporter of premium quality range of Acrylic Edge Band, Wood Edge Band and PVC Edge Band Glue.